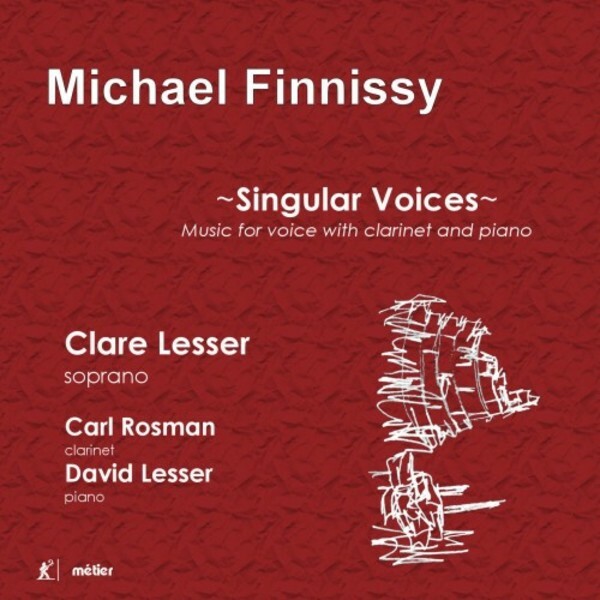 Michael Finnissy is one of the acknowledged geniuses in the field of new music, with a style which can be exceptionally adventurous (and difficult) but almost always retains a tonal core which reveals his myriad influences and inspirations often from folk music and classic literature. With his vocal music, Swinburne rubs shoulders with Petrarch and he is equally at home setting Walt Whitman, Alfred Lord Tennyson and Tasso. His wordless songs carry no less meaning and his setting of the Tyneside vernacular songs is no way sentimental or parody but surprisingly unemotional, allowing the characters to speak from their difficult lives in the new industrial society of the 19th century. Clare Lesser is a specialist in new vocal music and �is blessed with a gorgeous voice and terrific technique� (Musical Pointers) needed for the advanced notation (including glissandi and microtones) of these pieces, some of which feature piano, some obbligato clarinet and some both, though four songs are for unaccompanied voice. This is the 12th in the M�tier Finnissy series, celebrating the 70th birthday of this most brilliant of composers.